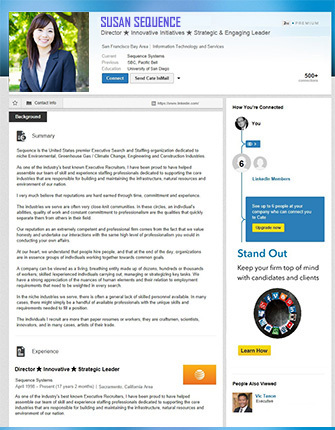 This customized online profile is designed to showcase your qualifications, strengths and highlights that will make you stand apart from the competition. It’s exceptionally priced for just $129.95. Don’t delay, order your social media profile today! So don’t leave your professional online profile to chance. Let the Sequence team polish your brand today for $129.95.